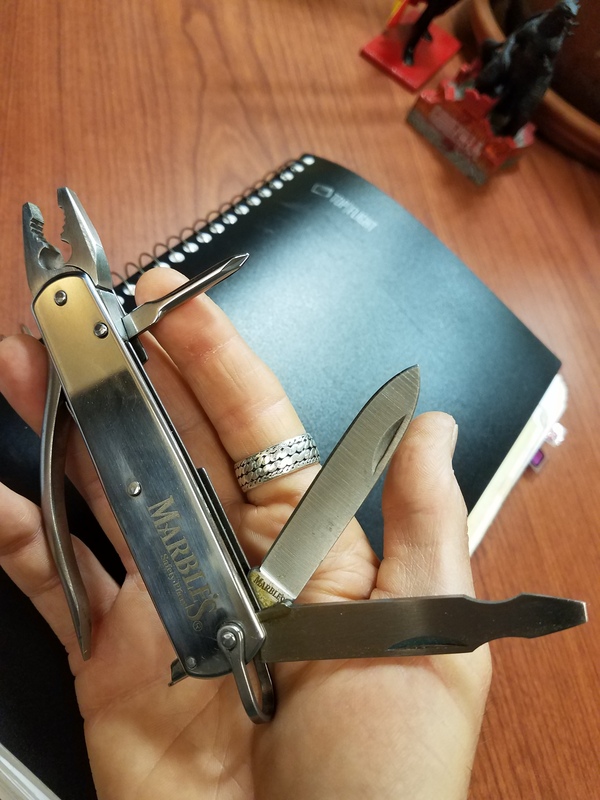 My New Every Day Carry (“EDC”) and WOOTW #62 | Robert Mitchell Jr.
Marble’s safety pliers. This was your granddad’s multi-tool. 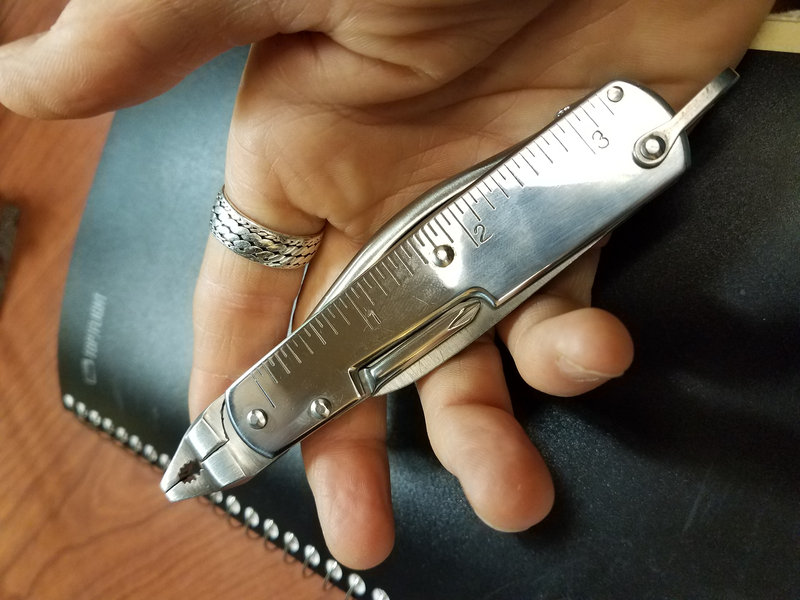 Recently I’ve had several meaningful conversations with friends and acquaintances inside and outside the martial arts regarding the subject of “EDC” or “every day carry” — referring to pocket knives, pistols or what-have-you. I used to carry a tactical folder with assisted open by S.O.G. But I read a couple of articles about how carrying a weapon increases stress hormone production and I watched the episode of Through the Wormhole called “Is Gun Crime a Virus?” and I started wondering. If I didn’t have a weapon on me, might I be more relaxed and more likely to use my head and avoid trouble? I started thinking. And then I listened to an episode of the AOM podcast with Lenore Skenazy, the author of Free-Range Kids: How to Raise Safe, Self-Reliant Children (Without Going Nuts with Worry). She talked about how the world is lots safer than we all think it is, which made me go looking for data. And I found said data on ourworldindata.org which is the coolest website ever. Did you know that minimum wage in the U.S. puts you in the top 10% of wage earners worldwide, and a salary of $50,000 puts you in the top 1%? Anyway, what I found out was, that the homicide rate in the U.S. is about what it was in 1965 and that, generally speaking, the world is safer than it’s ever been. I kind of already knew this. But apparently you have realize things over and over again in order to permanently realize them. In the end I decided that what was good enough for Grandpa is good enough for me. He didn’t need to carry a pistol or a folding pocket sword and neither do I. If you want one you can get it from Old ’97 Knives in Danville, VA. The owner’s name is coincidentally Ronald Mitchell (no direct relation I’m aware of). When I ordered mine I had ’em in two days. If I’m going to make Cabal Fang the best martial art it can be, then I need to become the best Robert Mitchell I can be. So, in addition to being enrolled in online seminary to improve my spiritual education, I’m also pursuing my continuing martial education by becoming an Apprentice Coach under Mark Hatmaker — gentleman, scholar, martial artist, coach, and mud runner extraordinaire. The Cabal Fang Workout of the Week is one of Mark’s. Beginners do 1 set, intermediates 2 sets, advanced players do 3 sets, and complete nutcases do 4 sets. I finished 4 sets in 39:01. This entry was posted in Martial arts, Writing and tagged edc, WOOTW. Bookmark the permalink.